Bathing is an important part of good coat and skin health for your pet. The frequency will depend on coat length and type, activity level, environment, and overall health. 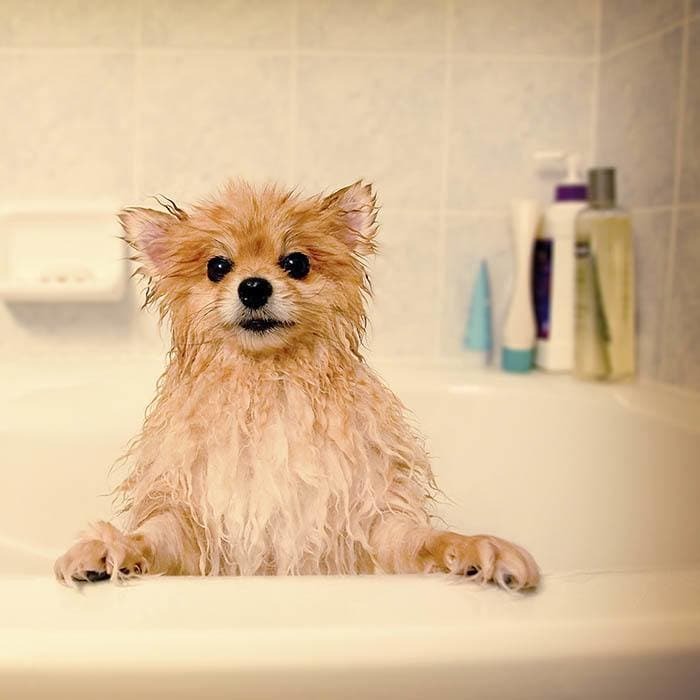 A bath is appropriate whenever you want your pet to be clean and smell fresh. However, over frequent bathing or use of harsh or drying products can dull the coat and cause dry, flaky, and sometimes itchy skin. When it is bath time, consider your pet's other grooming needs including nail trims, ear cleaning, coat brushing, and trimming if appropriate for your pet's hair type. Consult a professional groomer for specific recommendations for your pet.